Back on the second floor of the James, with an IV in my right arm and bandage from the missed attempt on the left. Forget that- what is important is that my lab remains stellar -Hgb is 14.4. That is the first time that I have not been anemic in over a year, but I won't celebrate as it was in the 12s about a week ago, so I know it can go up and down. I have been off low dose steroids for a few days now, but my neutrophils remain slightly high with my ANC being 9.6 (N: 1.8-7.7) pushing my WBC up to 15,000. My absolute lymphocytes are 3.5 which is boringly normal and up a bit from last month (2.3). Platelets are rock stable at a healthy 354,000 and retics is barely elevated at 1.6. Does that mean my marrow is being cleaned out and is responding nicely? Blood chemistries are also good news. Kidney and liver function tests paint a happy picture. Uric acid is trouble free at 6.1. Only the LD (lactic dehydrogenase) is a smidgen high at 193 (upper end of normal is 190), up from 140 last month. Not worth mentioning and besides it could be from my sore muscles that are being poked and prodded now that I am going to PT to be stretched from here to wherever, seeing my trainer for some heavy duty rub downs, and exercising daily. It's working! My immunoglobulin levels reveal my usual low IGA and IGM but even those are about as high as they have been in the last few years. IGG is normal thanks to monthly IVIG infusions. Thank you, donors, thank you. No real change in my nodes. Less than one centimeter in the armpits and the tiny shot above my left clavicle is getting harder to fine. That's it for palpable nodes. So I am under reacting to all the news, which is easy when everything is copacetic. No worries, mate. After about two hours since arrival, my meds finally have been released. The three bottles of my magic elixir, ibrutinib were delivered and the first dose (three pills) for this cycle were dutifully swallowed. Even my last ofatumumab infusion in this trial is running. Still need to be back in Columbus every 28 days until the end of my first year of the trial. They still haven't revised the protocol. Maybe they own airline stock? At the beginning of cycle thirteen next winter, I will enroll in the follow-up trial that only takes me back to OSU every three month, hopefully forever. I understand that I can remain in the study forever unless I progress. My next set of CT scans is scheduled for October. That is only four months since the June imaging, so it seems too soon. Not sure what to do, but with my palpable nodes being so small and stable, it makes sense to know what's going on inside. Or maybe not. No sighting on Dr. Byrd again. Hopefully next visit. All in all, all is good back in Ohio. Time for a vegan lunch and then a nap. This is what it is like to live in both remission and California. Two great places to be. Lynn is one of those fighting and beating two cancers, both CLL and a secondary lung cancer. She has kindly permitted me to show how she has been coached by this double whammy. She speaks to the advantages of the frequent CT scans and also give valuable information about her relatively benign experience of coming off the ibrutinib, also very helpful and encouraging. Of course I follow your posts on various sites as well as your blog. I think you saw that my end of 2nd cycle CT scan showed me with a right upper lobe and bronchus mass of 2.5 cm. Biopsy revealed it was a cancer so I went off Ibrutinib and a great NIH surgeon, Dr. David Schrump, removed the upper right lobe and all of the tumor .. clean margins and nothing in the nodes removed, thus allowing me to avoid chemo. During the first conscious sedation broncoscopy attempt to get a biopsy, the pulmonary doc couldn't get enough cells because of the easy bruising. I mention this because I had lots of unexplained bruising while on Ibrutinib. The second fully sedated biopsy didn't have the same bleeding issue and I had been off Ibrutinib for three days when that occurred. I am VERY grateful I had the CT scan as part of my protocol. My baseline showed nothing, and it was done in March while this tumor was present in July. I think the tumor was perking just before I came to NIH and went on the protocol as I had a strange bronchitis with blood and then soon on the Ibrutinub I had lots of coughing with excessive bleeding. Did the Ibrutinib allow it to bloom faster? Who knows. In a way, I'm glad it did so that it could be excised and considered a Stage I non-small cell adenomacarcinoma. My surgeon said my tumor grew faster than would be expected for that type. So .. I hope people won't throw out their CT scans. I'm now a big believer and booster and hope that all should be aware of how important it is to find these secondary cancers. I'm hopeful to eventually get back on Ibrutinib, one way or another. It did wonders for me .. I started at 342k wbc and when I went off the drug, was around 114K and my counts kept going down, even after stopping taking it. In two cycles, my CLL marrow went from 80% to 50%. After my surgery and 12 hospital nights (got pneumothorax and had to return to the OR for pleuradesis) the WBC bottomed out at 13k with Hgb at 6.6 so got first ever transfusion of two units. Now all climbing except for the neuts so have had several neupogen shots and hope tomorrow's CBC will show me out of neutropenic-ville. Anyway, I'm sharing all this with you as I think it's important that you as both a patient and a thoughtful doctor hear from those of us on the "fringes" of these studies. I don't think enough has been tracked of those who had to stop taking Ibrutinib and my story certainly is not one of rapidly increasing counts or nodes. I'll keep you in my loop and love being in yours. Thanks you again for reaching out, staying in touch, and sharing your story. I am so glad your lung cancer was caught early. In most cancers the paradigm is a quick and aggressive pre-emptive strike, so unlike the hard-to-wrap-your-head-around paradigm for CLL where biding time is the prevailing wisdom . In my post on secondary cancers, I pointed out that one possible reason for the high prevalence of secondary cancers in CLL is our greater surveillance. Not only CTs, but mammos, PAPs. colonoscopy, PSAs and skin exams find cancers earlier and more often. Your neutropenia surprises me. That has not been a recurrent issue with ibrutinib or with lung cancer for the matter. Also your WBC continuing to drop after treatment stopped is not what I have heard from others. Usually what I have heard is that the nodes bounce back up again, sometimes within days, but I haven't heard much about the counts so appreciate your good news. I would like to share your email on my blog as I believe others would benefit from your experience and counsel. Would it be OK for me to post your email on my blog? My last reply suggested that she push hard to restart the ibrutinib as she needed no chemo and has had curative surgery. In effect, she is back to square one dealing with a single cancer. I am sorry for what she has had to endure, but thankful for her willingness to share her instructive, cautionary, and ultimately upbeat story. Finally, her idea of sharing the experiences of those that needed to stop their ibrutinib or GS-1101 is brilliant and should be explored. Patients and hematologists alike will need to know and be prepared for what they might expect when the drugs are discontinued. My guess is that the longer that you are on them and the lower the disease burden, the less the rebound. We are just starting to look at these issues in CML with imatinib and the early results are encouraging. Honestly, for right now I am just so happy to have something that works so well and is so free of side effects, that I don't plan to worry about how to stop for a long long time. Well I finally decided I could no longer handle the dishwater tasting green teas that I have been consuming after finishing off my store of pre-tsunami Japanese organic Sencha tea many months ago. I have been nervous about the radiation risk to the tea crop in Japan, That's not a crazy concern. 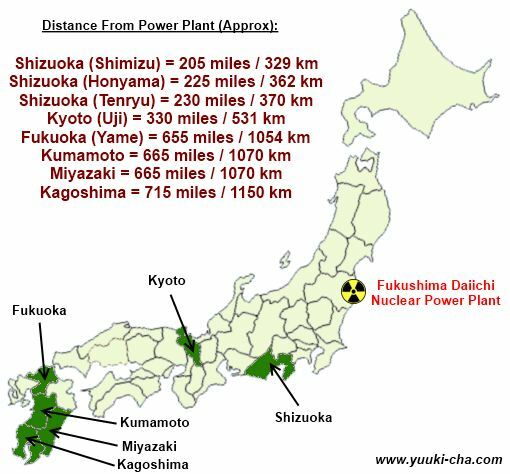 My wonderful grower and supplier is from Kyoto which is more than 300 miles from the power plant. He has certificates that say his tea is free of radiation and I completely trust him. Whom I don't trust is the Japanese government and their food monitoring. We know that the crop in the famous tea growing prefecture of Shizuoka which is about one hundred milds closer to the damaged reactors was contaminated. The westward winds after the radiation escape probably mitigated the Japanese exposure, but the safety data is conflicting. 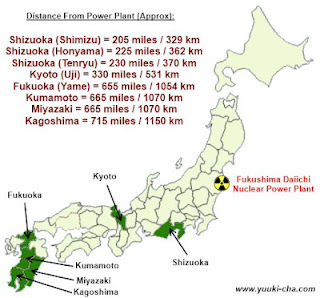 By the way Tokyo is about half way closer to Fukushima than is Kyoto. I ordered some Japanese tea from a supplier in New York that swore that he still had some pre-disaster tea in his USA warehouse, airtight and sealed. I eagerly waited for it to arrive and brighten my morning breakfast. Very disappointing. It was mediocre at best, better than the junk at the grocery store, but no sparkle, no sweetness, no life. I have never been a big fan of Chinese teas - I have been to China and I don't trust what is claimed to be organic. I worry it is too often just a label that lets the vendor jack up the prices, and bedsides the tea seem more astringent. Remember the Chinese and the baby formula and the dog food. Indian teas are better, but "green" is not their strength. I have some green tea from Malawi that I'll try next. So I still missing my gentle but very lively Japanese Sencha. I admit it. I am a tea snob. Today I ordered over 500 grams of four different Japanese organic Senchas, all from the southern island of Kyushu (Kumamoto, Kagoshima, and Miyazaki), about as far from the damaged nuclear reactor you can get and still speak Japanese as your official language. I am hopeful and my mouth is watering in anticipation. The reviews could have been used to describe a a classy pinot noir. One of the great luxuries of being in remission is that I feel OK to complain about what is and isn't my cup of tea. Yesterday I said the prayer for the dead (Kaddish) for Dr. Larry Deutsch again and remembered that others were not so lucky. I also prayed that ibrutinib and its ilk and the next generation of therapies to follow them will soon and in our time make tragedies like Larry's and so many others, painful memories of a past left behind. His partner will be sending me his autopsy and I will share here what the dead can teach the living. I am doing well, finishing my steroids tomorrow with my right ear still doing fine and only an increased fatigue burden. Paddle boarding at Sunset Beach tomorrow morning with my family, and off to OSU in Columbus on Tuesday to see friends and get my last infusion and more ibrutinib. Tea or not, it is good to be alive. My clogged right ear is much better after five days of treatment with oral Medrol and so I am reducing my steroids slowly, one tablet a day. I had been on six tabs every morning. I will be completely off them before I fly to Columbus for my 28 day visit next week to pick up my ibrutinib and my for last infusion of ofatuzumab. YEAH! Each morning I must take my three ibrutinib capsules one half hour before any other pills or food, and my Medrol only after eating. All my other pills are taken in between. Quite the medicine cabinetry choreography. I have managed to avoid any big time infectious or other myriad of nasty complications from all the immune squashing therapies coursing through my body. I am hoping that the ear stays open as the dose of methylprednisolone drops. It should. While feeling tired and wired at once, it's good to be have gotten the ear unstuck. And I have enjoyed how my arthritis pain has been so controlled. Easy to understand why president Kennedy did't want to come off his steroid therapy. I expect the next few days to be a bit rough as my adrenals need to get back in gear after being lulled to sleep by the pharmacological doses of my old school synthetic corticosteroid. Still this is a much gentler and shorter trip compared to my prior close encounters with 'roids for my ITP when I took much higher doses for months at a time. Five days of therapy may not even demand a taper, but I am a cautious wimp and don't want to crash. Every seemingly benign twist and turn with CLL can carry the potential for disaster, at least in my imagination. This little adventure should only be a minor speed bump. Nothing artsy or cool to write today. My change to monthly IVIG is getting to be so routine that I forget to update my status. True I still have ITP as evidenced by my giant platelets, but it hardly an issue with my count at 380,000. True also that after a splenectomy the number should be and has been even higher, but it tells me that my bone marrow is producing platelets fast enough to keep pace with the quicker destruction. I still need my ciclosporin and IVIG- that's the bad news, but the good news is that it is working great. My right eardrum was severely retracted but not red or inflamed when my family doctor took a look. My hearing is affected. My Weber localizes to the right. Check it out. Interesting old school tuning fork test. So nowI am on a pulse of steroids to open it up. It helped, but the rapid taper over 6 days with the Medrol DosePak proved to be too quick for this stubborn problem, so I am staying at 24 mg a day for about 5 days before I start the taper. I am off the Afrin with no rebound, still on Nasonex, never touched the Sudafed, and it was never touched by the 14 days of Augmentin. It is better, but not gone, and I worry it will return when I start my taper. The response to steroid suggests allergies, but nodes and tumors are shrunken by steroids too. If it 's not better soon, I will see an ENT. The steroids of course shot up my white count, but it was all neutrophils (ANC was 11), so no worries. If fact it is encouraging that my lymphs didn't climb. Another reason to always insist on a differential count when they draw our CBC. My lymphs have shot up dramatically in the past in response to the higher doses on steroids I received for my ITP. Maybe my tumor burden is shrinking. My few palpable nodes are unchanged. A single "shotty node" in the left supraclavicular area, and the persistent small ones in the axillae. They are not very impressive, and may be residual scarring, but I wish they were gone. I understand the biggest changes in node size with ibrutinib is in the first month of treatment. My Hgb dropped a bit back into the 12 gram range, but the long term trend is stable. I wish it was climbing, but it's not. I was so relaxed about my lab, I forgot to check on my chemistries, only to find out the specimen was hemolyzed so nothing to report. I am in physical therapy for my muscle pains and arthritis and now have more exercises to do everyday. The steroids are helping the knee pain, but the muscles in my right thigh still grab me. All in all, many minor nagging issues, small worries, but no drama. I will take it. Others have been much less fortunate. 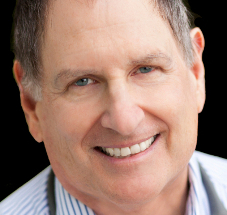 My friend, Dr. Larry Deutsch died of complications of CLL. He was only 66 years old, a well respected family doctor, an honest medical writer, (see Calorie Wars) and gifted hypnotist with offices in Ottawa and New York City. We met in person at CLLPAG in Niagara Falls last April, but had been internet pals for a long time before that. We had worked on some hypnosis audio files to help deal with the stress of CLL. He was headed to Socal for a visit next week, but sepsis intervened first. He was a kind and thoughtful physician and a good friend, full of life, hope and plans for the future. A life cut short. I will miss him and our many Skype calls. I am way too sad to write much today. More later on the possible painful lessons from this tragedy. I am on vacation, so this update will be brief. 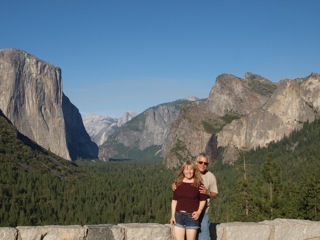 The high Sierras and Yosemite are so reviving to my soul, if not my body. Kayaking on the unique Mono Lake, hiking by trout filled alpine pools and rivers, and the magnificently carved Yosemite Valley put my life back on track and rearrange my priorities. Because of my multiple unexplained bruises and my history of ITP, I called my local hematologist and he ordered a stat CBC before I left on vacation. My platelets were around 380,000 so the many bruises must be from unremembered trauma moving furniture and many boxes around the house. We are cleaning up and getting rid of more junk, again. A Zen thing. The rest of my WBC and diff were normal and my Hgb was up a bit at 13.5. All good. I also took the opportunity of the blood draw to get my overdue PSA checked. It had been more than a year since my last check and my last CT scans had showed that my prostate was enlarged. The new recommendations against routine PSA screening don't apply to those of us who are immune suppressed. Prostrate cancer is the second most common non-skin cancer in CLL after lung cancer. Of course since I saw the CT reports, I had developed every symptom of prostatism, all of which have resolved since getting back my normal PSA. So my bruises were nothing and my prostate is not going to kill me. My only remaining worry is my persistently annoyingly clogged right ear. It has been hanging on for over three weeks despite two weeks of a steroid nasal spray to reduce swelling in the eustachian tube and five days of Augmentin (an antibiotic). It was slightly red when checked just before I flew to Columbus for my 28 day trial visit to pick up my ibrutinib and get my second to last ofatumumab infusion, but the otoscope findings were very minimal, and with the help of only the Afrin that Dr. Forman recommended, I was able to equalize fine on the plane trips. The trouble with being a doctor is that I can imagine the full differential diagnosis of a unilateral blocked ear that includes all kinds of terrible problems when odds are it is a simple long lasting serous otitis media (non infectious fluid behind the eardrum) and will resolve over the next few weeks. It is not painful, but it is omnipresent with the constant pressure feeling and cracking popping noises. We have all been through worse, much worse. I will have it checked next week and also see the dermatologist for a cancer skin check. So I am taking my own advice about cancer screening and trying to listen to my counsel about not worrying. Tomorrow I will see my granddaughter so there will be no time to experience anything but joy. This is our first chance to spend any time with her since February when I first went to Ohio for the trial, one of the big downsides of dealing with cancer: it steals time from your loved ones. I am prepared for the reality that she won't remember her grandparents, but we mean to change that with more frequent visits from here forward. I am so excited. Seems like my last post on secondary cancer was old news. Here is a review that I just discovered from 1979 in CHEST, a respected medical journal on lung disorders, that examines the link between lung cancer and CLL. Seven percent or one out of every fourteen CLL patients had lung cancer too in this study. That was eleven times higher than the general population. Another reason never to smoke. If you missed my last post on CLL, second at cancers, and CT scans take a look if you want a more nuanced and referenced discussion of these topics. CLL is bad enough, but about half of us will get a secondary cancer and when we get them our overall survival is inferior. Skin cancers occur to more than one in three and a whopping 16.5% of us must deal with a melanoma. 546 CLL patients were included in the study. Median age was 62.5 years. 84 (43%) were Stage 0 and 62 (32%) were Stage 1 RAI at diagnosis indicating earlier disease. 266 (49%) patients had a second or secondary malignancy. A total of 304 cancers were identified. 14% of patients had more than one malignancy. Melanoma was identified in 44 (16.5%) patients and non-melanoma skin cancer was identified in 54 (20%). Lung cancer was identified as the most frequent solid tumor malignancy with 36 (13.5%) cases, followed by prostate (35), breast (21), colorectal (15), and bladder (14). 10 patients had a Richter’s transformation of their CLL. 26 patients developed either myelodysplastic syndrome or acute myelogenous leukemia. Conclusions: Second malignancies are frequent in CLL patients. Immunosupression, increased UV light exposure, longer life expectancy in low risk CLL, and tertiary cancer center referral bias are likely reasons for these increased rates. Conclusions: Several common cancers, including breast, colon, and lung, have inferior overall and cancer-specific survival when there is coexistent CLL. CLL patients had a 1.8-fold higher relative risk of a 2nd cancer (95% CI 1.29-2.41) compared to FL patients. SIR (Standardized Incidence Ratio) was 1.9 when non-melanoma skin cancers were excluded. Patients with FL had a similar incidence of second malignancies, as did patients with other invasive cancers. The most common second cancer among CLL patients was non-melanoma skin cancer, followed by cancers of the digestive organs, prostate, breast and lung. Malignancy was the leading cause of death in CLL patients. In patients with a 2nd cancer, cancers of the digestive organs, lung and brain were the most common causes of death. However, in patients without a 2nd cancer, CLL was the primary cause of death. After cancer, cardiovascular complications and infections were the most common causes of death in CLL patients. We demonstrated that CLL patients have a significantly increased risk of developing a 2nd cancer compared to FL patients, and this increase was similar in both genders and in all age groups. Thus, the poor relative survival of older men with CLL cannot be explained by an increased incidence of 2nd cancers. The increased incidence of malignancy in CLL may be related to the immune suppression in this disease or to an inherited predisposition to cancer. Five dear friends have had their CLL complicated by a secondary cancer is the last few months, two lung cancers, one breast, one prostrate, and one possibly renal. Two are in ibrutinib trials and one is post transplant. Andrew Schorr, a well respected CLL patient and reporter has shared that he has developed MDS. I lost a friend a few years back to AML. And there are so many more. Secondary cancers usually quickly vault into being the primary concern often demanding urgent therapy as the Canadian article notes. They are, after all, the leading cause of death in CLL. I don't share this to depress you. I tell you because we are immune suppressed, many of us are on treatments that further compromise the ability of our immune systems to search and destroy potential and early cancers. A few of us must get EPO and other "growth" factors that might accelerate cancer growth. There is one possible positive. We often get more testing (see below re CT scans) that may facilitate finding new cancers sooner and more often. And remember: we got CLL in the first place, which suggests at least a predisposition to one cancer. Maybe more? So get your check-ups. See the dermatologist at least annually. Get our annoying choice of gender and age specific cancer screening tests: PAPs, mammos, PSAs, colonoscopies. We are not at normal risk. We are not the people at whom the recent relaxed recommendations for PSA screening were directed. We need to be more vigilant. Next lab draw I get a PSA and I have a derm appointment scheduled. Colon is fine, thank you. It better be with all the fibrous veggies that I eat. My news today from my ibrutinib/ofatumumab trial at OSU? Palpable nodes are slowly but surely getting smaller. Blood chemistries are completely normal including liver and kidney function and uric acid and LDH. ALC (absolute lymphocyte count) is down to a very normal 2.3, eosinophils are back to normal, platelets are just fine for someone with a history of ITP and single digit counts in the past at a lofty 348,000, Hgb is almost normal at 13.0, reversing its prior slow downward drift. All good, very good. So after four plus hours of my ofatumumab infusion, I will be leaving with my three bottles of ibrutinib. YEAH! The trial protocol may be changing. Nothing is certain until there are written changes to the protocol approved by the independent IRB (Institutional Review Board) that is set up to safe guard us "subjects" from unethical or dangerous therapies. First the good news: After next month's and my last ofatumumab infusion, I probably only need to be here every 60 days. That makes perfect sense. Now the bad news which unfortunately is pertinent to today's topic of new cancers. I may no longer be able to opt out of the excessive CTs scan, every 60 - 90 days. Why do we need such frequent exposure to a proven cancer promoting procedure that is of questionable value in patients with CLL, already at higher risk for secondary malignancies? These considerations suggest that the estimated risks associated with CT are not hypothetical — that is, they are not based on models or major extrapolations in dose. Rather, they are based directly on measured excess radiation-related cancer rates among adults and children who in the past were exposed to the same range of organ doses as those delivered during CT studies. It is not that bad. The same journal does point out that the risk, while not insignificant, does dramatically decrease with age. Another advantage of being older; I am not likely to live the many decades it takes to get the secondary cancer. Dr. Rick Furman points out the data from that same article that states: " One article published (NEJM 2007;357:2277-2284) suggested that the increase risk for developing a cancer during their lifetime for a 40 year old was 0.02% from a single CT scan. Thus, it would take 50 scans to increase one's risk by 1% if they were 40 years old." I don't want to overreact, but there is no safe minimum amount of radiation. The radiation exposure from each set of three CT scans ordered here are roughly equivalent to 12 years of background radiation. Do I really need four or six a year? And it is reasonable to assume that the negative synergy of having CLL and a lot of ionizing radiation might make the risks higher for us. VOLUME 25 􏰆 NUMBER 35 􏰆 DECEMBER 10 2007. "Current NCI-WG CLL response criteria are a significant predictor of PFS in previously treated CLL patients, with no additional benefit from the inclusion of CT scans." But there are other ways to look at the issue. "In this series, an abnormal abdominal CT was a strong predictor of progression in patients with early-stage CLL. The inclusion of CT scans in the initial work-up of patients with early clinical stage on clinical grounds can, therefore, provide relevant clinical information. " But those of us in this trial are much more similar to the previously treated patients in the first of those two study from JCO. "The current requirement for CT scans remains problematic to interpreting new study results, as essentially all prior CLL clinical trials did not include CT scans. More importantly, these imaging tests add significant cost and potential morbidity to the very special patients who volunteer to be part of clinical trials exploring new treatment approaches. Reconsideration of the CT requirement in the setting of implementing detailed lymph node and spleen physical exams might offer an opportunity to match our new clinical trial approaches to methods best supported by evidence-based tumor assessment." I know I am in a trial. It is to get important potentially life saving information, but as Dr. Byrd says so eloquently, trials are for patients, not the other way around. If push comes to shove, and the imaging is a must to do to in order to receive my meds, then the choice is simple: it is a small risk for a big gain. Moreover, if it helps get the drug approved sooner, so all those waiting for these game changing meds can benefit, then it is a small theoretical risk for a huge payoff. Finally, small molecules such as ibrutinib and GS-1101, because they unanchor the B-cells from the safe home in the nodes and send them out in droves onto the less protected environment of the blood stream, the ALC can shoot up. That is normally a sign of disease progression with old school therapies, but is not usually the case with these new new drugs. Hence, the need to document shrinking nodes to prove that the therapy is working is even more critical with these treatments. Still, isn't twice a year enough? I even opt out of the total body scanners at the airports where the risks are at best minor and more honestly, unknown at this time, so I hope I can continue to opt out of my CTs here. TSA staff can get by with just patting me down at the airport to check for contraband. Why is essentially the same procedure for palpable nodes done by team of medical professionals not sufficient? A while back, I suggested to Dr. Byrd that he do a trial that once and for all compares the response to therapy of palpable nodes to that of the nodes seen on CT to see if we can eliminate need for all the scans. Seems even more urgent now. Finished the airport at Phoenix waiting for my delayed flight home.